Fancy labels for any classroom! 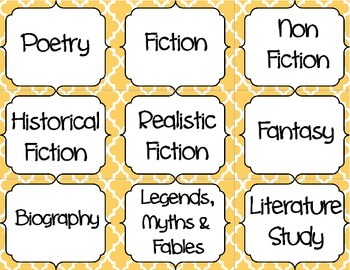 These labels include book genres (yellow), school supplies (blue) and numbered centers (teal). Just cut, laminate and tape them to whatever bins or storage items you use. A blank template is also included for each label color. Enjoy! Check out my school supply labels with pictures!